Tom Cruise | No Chic. Just Geek. It is with a bit of a jolt that I realise that I have been going to see Mission: Impossible movies at the cinema for half of my life. It doesn’t seem that long since I had only been going to see the first one for a couple of hours, at a rather lovely old cinema in Hull city centre, but there you go, that was 1996. I just wish that I had lasted in the interim as well as Tom Cruise, for he doesn’t look that different to how he did in the first film, whereas I’m honestly starting to feel slightly ravaged. These days, a nice Mission: Impossible movie is Tom Cruise’s best shot at getting the kind of hit which sustains a career, which may be why he’s finally settled down to making them approximately in accordance with a standard blockbuster franchise release schedule – to wit, one every three years or so. The new one is as punctuation-heavy as ever – Mission: Impossible – Fallout, directed (like the last one) by Christopher McQuarrie. The first few films in the series were essentially standalones without much connecting them, but the retention of McQuarrie as director signals that a bit of a change is in the air, although ‘change’, where this series is concerned, is a relative thing. So it’s front and centre once more for crack American fun-and-games squad the Impossible Missions Force, in this film comprising toothsome legend Ethan Hunt (Cruise, 56), comic relief Benji Dunn (Simon Pegg, 48), and computer whiz Luther Stickle (Ving Rhames, 58). Clearly the new young generation of agents just ain’t cutting the mustard, even though Luther’s ability to do all the running about and hiding in plain sight demanded by a typical Impossible Mission is somewhat compromised by the fact he looks about seventeen stone and is always wearing a selection of rather incongruous hats. Jeremy Renner, somewhat ironically, has not come back this time as apparently his commitments to Infinity War got in the way – I say ‘ironically’ as all of Renner’s scenes in the Marvel movie ended up on the cutting room floor. Plotwise, it turns out that capturing the international terrorist mastermind Solomon Lane (Sean Harris, 52) at the end of the previous film has only annoyed his various acolytes and caused violent global upheaval and terrorism (which only makes one wonder why Cruise et al bothered in the first place), and they are now intent on getting some plutonium so they can blow things up. They are assisted in this by the mysterious John Lark, a shadowy figure intent on causing international disruption and chaos whose real identity is a mystery (I wouldn’t be at all surprised if he turned out to be a golf-loving Washington DC resident with an active Twitter account). So, anyway, another new Mission: Impossible movie. As usual, I sat there watching the movie, making mental notes of pithy little observations I could make when it was time to write this here review which you are reading (if indeed you still are). But a strange sense of familiarity, even perhaps deja vu, crept upon me as I did so. In the end I went back and re-read the reviews of Mission: Impossibles 3, 4, and 5 from this blog, just to make sure I didn’t end up repeating myself. And, seriously, I’ll tell you what a really Impossible Mission is: it’s telling this film apart from the previous ones. Now, I know that probably sounds quite negative, and I should qualify it by saying that it’s every bit as competent a piece of glossy, big-budget entertainment as the other films in this series. There are some stupendous, absurd stunt sequences, a ridiculously byzantine plot, first-rate action, competent performances, and all the rest. But the fact remains that, just like the previous films, it primarily resembles a series of set-pieces strung together by minimal plotting, said plotting revolving around double- and triple-crosses and characters ripping off their faces at key moments to reveal they weren’t who they initially appeared to be. The real Impossible Mission – or certainly, the very challenging one – is to identify the bits of Fallout which actually make it distinctive from the other films in this franchise. Well, initially it seems like the dramatic meat of the film is going to be built around the Big Moral Question of whether Tom Cruise is capable of dealing with a Hard Choice. Will he save a team-mate or grab the plutonium? Is he prepared to shoot a cop for the good of the mission? Is he even prepared to go head-on with Ilsa? Sounds quite promising, doesn’t it, until it becomes apparent that the script is always going to let Cruise cop out of actually making a Hard Choice, or contrive it so that whatever dubious choice he makes works out in his favour. In the end this angle just gets dropped in favour of slightly vacuous stunt sequences (although, to be fair, the film concludes with a set-piece with a couple of helicopters that is absolutely eye-popping). The other innovation in this film is the fact that it’s much more a sequel to the previous film than is usually the case in this franchise – the same villain recurs, along with various other supporting characters. You also really need to be more than passingly familiar with the plot of Rogue Nation in order to completely follow that of Fallout (not that following the plot of one of these films is strictly necessary in order to enjoy it). The links go further back, with another appearance by Michelle Monaghan (most prominently seen in Mission Impossible 3), and the implication that a new character played by Vanessa Kirby is the daughter of Vanessa Redgrave’s character from Mission Impossible 1 (I’m not sure this is even biologically possible, given their ages, but I suppose fertility experts get assigned Impossible Missions too). In this case at least, it’s just something to reward those of us who’ve been turning up faithfully for over two decades. When you really get down to it, Mission: Impossible – Fallout is basically just product made to meet the demands of a formula – there’s still more than a little of Bruce Geller’s classic TV show to proceedings, and there’s a particularly bombastic version of Lalo Schifrin’s classic theme this time around, but the film series has probably now eclipsed its forebear in terms of audience awareness. It basically just has all the fights, chases, stunts, twists, turns, and tricks you expect from this kind of film, delivered with a lot of gloss and conviction. And the end results are undeniably entertaining, even if six months later you’ll be hard pushed to remember what this film was actually about, and probably find it blurring together with the others in your head. But this is the world of the popcorn action blockbuster – it’s not intended to be a film for the ages, but a film for the moment when you’re actually watching it, delivering a pleasant and familiar buzz. And, on those terms, it is undeniably a successful movie. Hmm, I thought, could he mean the 1932 version with Boris Karloff? Or perhaps the 1959 one with Christopher Lee? Maybe even the 1971 take with Valerie Leon? (All of which I have inevitably seen.) It seemed pretty unlikely. ‘You mean the 1999 one with Brendan Fraser,’ I said, somewhat resignedly. Yes it was; it turned out he preferred it. Things kick off with a somewhat involved prologue involving crusader knights, the expansion of the London underground, and much other unexpected material. What it all boils down to is the story of Princess Ahmanet, heiress of one of the Egyptian pharaohs (she is played by Sofia Boutella, a game young actress making a bit of a career out of big genre roles in which she becomes almost unrecognisable one way or another). When she is unexpectedly replaced as first in line to the throne, she enters into a pact with the evil god Set and sets about pressing her claim, rather violently. This goes down poorly with the palace staff and she is, according to the voice-over, ‘mummified alive’ (not according to what we see on screen, she’s not, but I digress), stuck in a sarcophagus, and buried ‘far from Egypt’. Well, having extracted Ahmanet’s sarcophagus, our heroes are flying off somewhere when their plane becomes besieged by crows and Nick’s buddy Chris (Jake Johnson) turns into a murderous zombie (it feels like there’s a lot more zombies than mummies in this movie). No sooner has Nick handed Jenny a parachute and thrown her off the plane than it crashes in England. Of course Nick does not end up splashed across the landscape, but wakes up unscathed in an Oxford morgue (by the way, I feel it incumbent upon me to point out that The Mummy‘s depiction of the traffic system in Oxford city centre leaves a lot to be desired). It transpires that Ahmanet has taken a shine to Nick (that’s nice), and quite fancies using him as the vessel to bring about the embodiment of her patron, the god of evil (maybe not so nice). Can he escape the mummy’s curse, or is he doomed to a fate that’s approximately about as bad as death? It’s not widely known or talked about these days, but for quite a long while in the early 2000s Tom Cruise was in talks with Marvel about his taking the starring role in Iron Man. Terms could not be agreed, however, Cruise not wanting to make ‘just another superhero movie’ (it’s hard to imagine him committing to the standard Marvel multi-film contract, anyway, or indeed agreeing to be part of an ensemble cast). Since then, however, Cruise has noticed the large trucks full of money going to Robert Downey Jr’s house, and Universal Pictures have noticed the enormous trucks full of money going to the Marvel offices, and their joint desire to grab a slice of that kind of action is what has led us to the new version of The Mummy. For, yea, this is the opening installment of what we are supposed to call the Dark Universe franchise, presumably because Legendary Pictures already have their Monsterverse (the film series with Godzilla, King Kong, and the others) and this precludes Universal from using the obvious ‘Universal Monsters’ title for their own prospective mega-franchise. At one point Dracula Untold was going to be part of this series, but they have apparently rowed back on the idea, and so it’s The Mummy kicking off the new undertaking (no pun intended). Quite how this new series is supposed to function I’m really not sure. The thing about superheroes (as in the Marvel and DC film series) and Toho’s daikaiju (in the Monsterverse) is that they have a tradition of bumping into each other and butting heads, whereas all the best-regarded Universal horror films were basically standalones – obviously you have things like Frankenstein Meets The Wolf Man and House of Dracula, but these were pretty much last-gasp efforts, one step away from Abbot and Costello Meet Frankenstein. The material feels severely stretched to meet the requirements of the studio – it looks very much like the intention is to retool the classic monsters as occult super-powered anti-heroes. So is this really a horror film or isn’t it? I would tend to say not, for all that it is saddled with a box office-unfriendly 15 rating in the UK. Sensible studios don’t attempt to make genuine horror blockbusters, because the two forms are largely incompatible, appealing to different sensibilities. Attempting to combine the two is the source of many of The Mummy‘s numerous problems. On one level this movie wants to be a dark tale about the stirring of ancient, primordial evil, and moral corruption, and the profound ambiguity of the human soul. On another, it wants to be a jolly wise-cracking CGI-driven popcorn movie. I’m not saying it’s absolutely impossible to make a film which manages to reconcile these two ambitions. I’m just saying that The Mummy definitely isn’t it. Every time the darker material shows signs of promise, along comes a big chase sequence or a comedy bit or Tom Cruise sweating ostentatiously and we’re back in vacuous popcorn-land. If the film was the slightest bit knowing or showed any signs of being aware of how outlandish it is, it might function, but Cruise in particular doesn’t seem capable of that kind of wit. I suppose there are signs of hope for the future, as the linking device for the projected Dark Universe franchise is a gang of enigmatic monster-hunters called the Progenium or the Prodigium or the Perineum (I can’t actually be bothered to check Wikipedia), led by Russell Crowe as Dr Jekyll (I know, I know) – we pay a brief visit to their archives where they appear to have a vampire skull, pickled bits of the creature from the black lagoon, and so on. Crowe actually has the ability to make this stuff work, believe it or not, though he’s much better as Jekyll than Hyde. And he quite easily blows Tom Cruise off the screen. 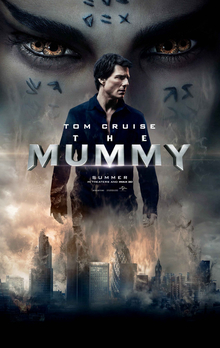 Probably The Mummy‘s biggest problem is that Tom Cruise simply does not belong in it, at least not in the role he’s been given. Nick Morton is supposed to be a lovable rogue, a scoundrel with the potential to be something better, utterly charming even when he’s doing deeply suspect things. Cruise can’t do charming any more. He goes through the motions energetically, but he just comes across as fake, and rather than loving Nick in spite of my better judgement, I just thought he seemed like a bit of a tool. Cruise can’t really do funny consistently either; for this film to attempt to be a light-hearted adventure is arguably a bad choice, but for it to turn out to be a light-hearted adventure fronted by a leading man with all the comic sparkle of one of Donald Trump’s media consultants contemplating their career prospects is, frankly, disastrous. This is still a fairly lavish modern blockbuster with all the necessary bits in mostly the right order (though not, as noted, many of what you’d call classic Mummy moments), and Crowe and Boutella are generally pretty good in it. And, as Wonder Woman has recently proven, all it takes is one good installment for this kind of movie series to come to life and start generating real interest and excitement. But The Mummy shows every sign of getting the Dark Universe project off to a flying stop. Things change. Once upon a time I was somewhat given to commenting on the rather languid pace at which the makers of the Mission: Impossible movies produced their wares: six year gaps between instalments not being unusual. These days, however, they’re coming out nearly as often as Bond films – though, again, the once regular-as-clockwork schedule of Eon’s franchise has rather slipped in recent years. 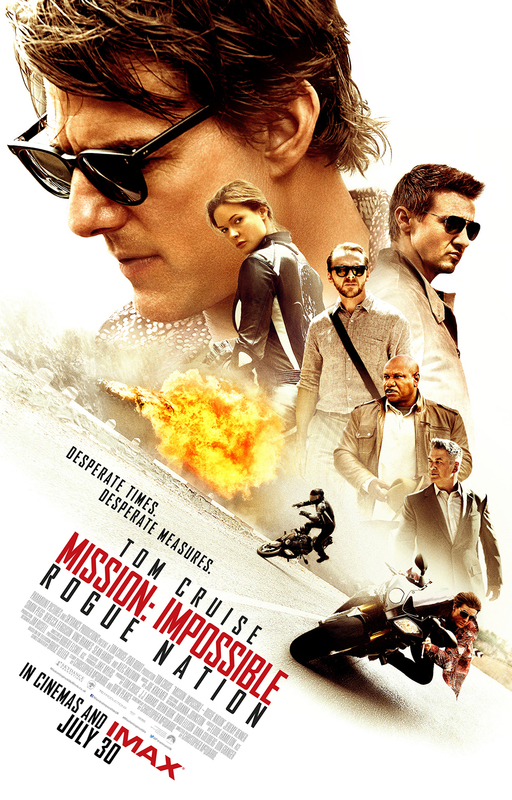 Even so, nineteen years on from Brian de Palma’s original movie, they’re still only up to number 5, or Mission: Impossible – Rogue Nation, written and directed by Christopher McQuarrie (he of The Usual Suspects renown, should the name occasion a tinkle). This time around, the story is – well, to be perfectly honest, it’s very much like the story in the last couple of films in its general tone and so on, but the particularities are as follows. Six months pass, with, we are invited to infer, Cruise leading the ham-fisted regular spooks a merry dance around the world, while back home his usual associates (primarily Simon Pegg, Jeremy Renner, and Ving Rhames) take a lot of stick from the new boss (Alec Baldwin) on his behalf. Anyway, Cruise invites Pegg to the opera in Vienna, not for a cultural night out but because he believes beastliness is afoot. Of course Cruise is right and there follows a preposterous sequence in which no fewer than five people try to either shoot or blow up the Austrian Chancellor, and it seems like every loose object in the opera house contains a concealed weapon of some kind. Cruise and Pegg make contact with enigmatic British agent Rebecca Ferguson (the only female main character, and the only one required to do a scene in her pants, in case you were wondering), and this leads to the obligatory sequence in which an impregnable bank vault must be robbed. It is, naturally, preposterous. There is a motorbike chase and then a preposterous climax based around Cruise and the gang sticking up the British Prime Minister (the PM is played by Tom Hollander as a vague and comical figure, though of course he doesn’t approach the wretchedness of the genuine article), and then… well, let’s just say that Lalo Schifrin’s classic theme gets played a lot. It is all, in case you hadn’t noticed, very preposterous stuff, but then that’s what people seem to want, as it is raking in the readies and Mission: Impossible 6 is already on the drawing board. This series has become the purest of popcorn entertainment, owing no great loyalty to Bruce Geller’s classic TV series: people just go along to see each new film because it’s big and slick and loud entertainment, and it’s got some reliable, familiar faces in it. Business as usual continues elsewhere, with much of the film’s heart and warmth coming from supporting bananas such as Pegg and Renner. Rhames gets a couple of nice moments but it’s hard to shake the sense that he’s mainly there to provide a link with previous films. There is the faintest sense of this being something of a greatest hits package, incorporating as it does a number of bits very reminiscent of previous films – bike chases, locations, and so on. There are also possibly-ominous signs of the undertaking running out of ideas – there’s a long scene expositing the plot in the third act, and I caught myself thinking ‘that guy there is going to whip off a rubber mask and reveal himself to be Tom Cruise in a minute’, and – lo! – it came to pass pretty much as I expected. Possibly the only real innovation this time is the fact that we are back in a position where the bad guys are British. Well, not everyone from the UK turns out to be a bad guy (and the question of what someone as audibly British as Simon Pegg is doing working for the CIA is never really addressed), but the British authorities are presented as being variously corrupt, ruthless, foolish, and self-centred. All very charming I’m sure, and perhaps in some way indicative of the fact that various companies in the Middle East and Asia co-financed this movie. But, as I believe I said, this movie is preposterous, so it’s quite difficult to get genuinely annoyed with it. It’s a good kind of preposterous, anyway – you don’t actually question the plot while it’s slipping by so agreeably, and if you won’t remember the details of the plot a couple of weeks later, so what? It’s undeniably fun while it’s in front of you, but not much more. I am not entirely surprised to learn that all is not well in the state of Tom Cruise: the gleamingly betoothed one is not busting blocks in the way he was wont to do in years gone by – Stateside, at least. Why exactly should this be? Is it a case of audience fatigue? Is it due to the films themselves not being quite up to scratch? Or is it simply that the great American public have, rightly or wrongly, come to the conclusion that, off-screen, Tom Cruise is just a tiny bit weird? Certainly it seems to me that Cruise is increasingly resembling the great Charlton Heston in his final years, in that the quality of the star’s creative output has been overshadowed by his real-life beliefs and antics. His willingness to lend his name and star power to decent studio SF movies adds to this, admittedly: Cruise hasn’t made a truly game-changing genre movie like Planet of the Apes yet, but he keeps on trying. His latest offering is Doug Liman’s Edge of Tomorrow, which instantly scored points with me by establishing its scenario without recourse to either expository captions or voice-over. Basically, Europe has been invaded by squiggly space aliens, but their advance has ground to a halt at the English Channel, and a vast high-tech invasion force is massing at Heathrow to drive the gribbly hordes back (insert your own joke about UKIP here, if you must). Cruise plays Cage, a US Army media relations officer in Britain to document the invasion. A dedicated staff officer, he is therefore not best pleased when commanding officer Brendan Gleeson orders him in with the first wave of the assault (it’s basically the scene with Melchett and Darling from the last episode of Blackadder, but with shinier teeth), and his attempts to dodge this backfire and see him busted to private and packed off to the staging area. Well, here’s the funny thing about Edge of Tomorrow: one of the reasons I was slightly lukewarm about Cruise’s last SF offering, Oblivion, was that it felt rather like a bigger-budget, sexed-up, actioned-up retread of Duncan Jones’ first film as a director, Moon. And something rather inescapable about Edge of Tomorrow (for all that it’s based on an original novella by Hiroshi Sakurazaka) is the fact that it feels rather like a bigger-budget, sexed-up, actioned-up retread of Duncan Jones’ second film as a director, Source Code. Tom, if you want to work with Duncan that badly, there are more straightforward ways of letting him know. The chief similarity between Source Code and Edge of Tomorrow is the time-resetting gimmick, which of course dates back over twenty years (to Jonathan Heap’s 12:01PM). I’ve always said that just being derivative isn’t in itself enough to make a film bad, so let’s not get too hung up on this. The film does handle the gimmick with a certain dark wit, with quite a few of Cruise’s various demises played for laughs – it doesn’t have Source Code‘s oppressive sense of an endlessly recurring nightmare, and it doesn’t quite explain how Cruise isn’t driven totally nuts by an insanely large number of traumatic demises, but then this is more of a generic action movie anyway. It is very much a movie for the games console generation, and anyone who has found themselves repeatedly slaughtered while trying to get to the next save point on an FPS will probably have some sympathy for Cruise’s predicament. On the other hand, the film is solidly written, with a due appreciation of how difficult it is to seriously challenge someone who is effectively immortal and able to teach himself any required skill instantly, and so the final act becomes a rather more conventional SF-action movie set piece. This shouldn’t really come as a surprise to anybody – Edge of Tomorrow may touch on a bunch of different movie genres, and be predicated upon a fairly outrageous bafflegab premise, but it inevitably boils down to being Tom Cruise gritting his extraordinary teeth and shooting at stuff in front of green-screen. That it succeeds in coming across as something more than that is partly a result of the inventiveness of the script and direction, but also due to the talent of the actors involved. This being a Cruise vehicle, the script has been tinkered with to give the star a chance to do his stuff – there’s an arc about him changing from an unreliable, barely-competent coward to a committed, dedicated warrior which I suspect has been beefed up – but he remains one of those actors with enough presence to prevent watching essentially the same scene four or five times over from becoming a drag. Brendan Gleeson isn’t in it enough, obviously, and the same really goes for Bill Paxton. I expect Noah Taylor fans will say the same (he appears, briefly, as a boffin). This is a Cruise vehicle, and that’s never really in any doubt, but his chief foil on this occasion is Emily Blunt as a ferocious female soldier with whom he establishes a relationship (over and over again). Blunt is a versatile actor and does well in a role which could easily have become a cypher. 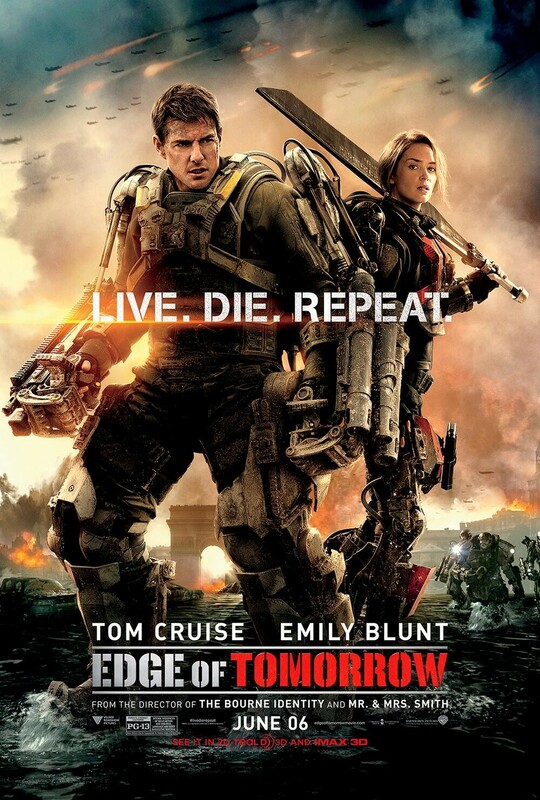 Edge of Tomorrow isn’t going to set the world on fire or mark the beginning of a New Golden Age of Intelligent SF Film-making, but on the other hand if this is the worst, dumbest genre movie we see all summer then 2014 should turn out to be a pretty good year. This movie never really succeeds in becoming more than the sum of its parts – so it’s just as well that those were pretty good parts to begin with. All right, as you probably know, I try to avoid proper spoilers hereabouts – if I can, anyway. Every now and then, however, a film comes along which it is very difficult to talk about in any detail without risking giving the game away about its story. This is particularly the case with movies which help themselves to story ideas and concepts from other (usually low-budget) films willy-nilly, presumably in the belief that no-one will notice the steal – or nobody who matters, anyway. Joe Kosinski’s Oblivion is one such movie. Oblivion (the meaning of the title remains somewhat obscure in the context of the film) is not a sequel or a remake of a big-name property, nor is it a superhero or TV show adaptation. This may explain why it has slipped out ahead of the pack of big summer genre movies (summer movie season now starts in late April, apparently, which is frankly absurd), even though it stars a performer of the magnitude of Tom Cruise. Cruise has shown an interest in science-fictional undertakings on and off for over a decade now (insert Scientology joke here if you wish) and this is his latest excursion into the genre. He plays Jack Harper, a repairman and one of the very last people on Earth. A catastrophic war with invading aliens has left virtually the entire planet a desolate ruin, and the task of Cruise and his partner Andrea Riseborough is to maintain the security drones protecting a network of power rigs generating energy for a colony of survivors on Titan. If you are partial to SF movies, and have yourself been in stasis for the last four years, then you will probably quite like Oblivion. It looks impressive, the performances of the four leads (Morgan Freeman turns up to give proceedings some gravitas, but the nature of the plot precludes me from saying in what circumstances) are all at least solid, and for a while it seems to be riffing on ideas and images from SF movies of the early 70s with skill and insight. That said, it’s not nearly as subtle or clever as it needs to be – a clodhopping early reference to Cruise having had his memory wiped signposts very early on that the audience is being set up for a major plot twist, and so it proves. The twist in question is effective enough, and, to be fair, it’s followed by a few more which are also decent. 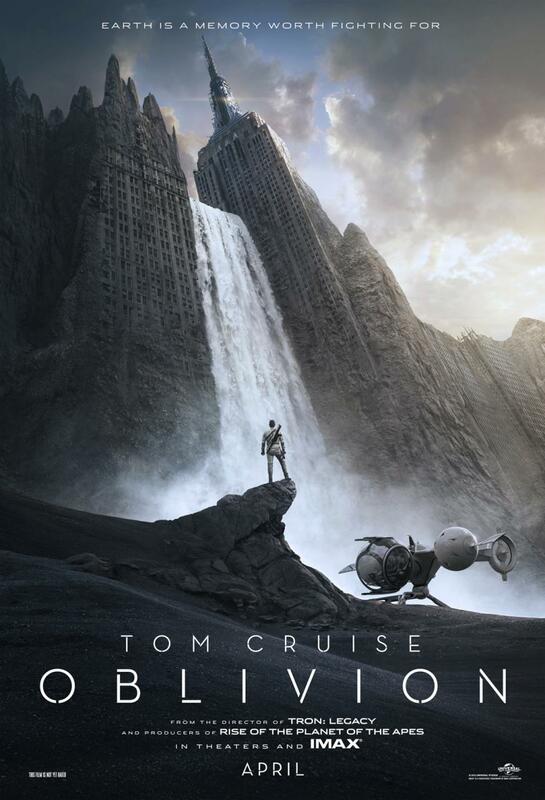 Oblivion is not short on cleverness – the problem is that it does have a serious shortfall of new ideas, genuine thrills, and soul, and some of the plot does strain credibility just a bit (the ending in particular is an outrageous attempt at having cake and eating it). I actually feel a bit guilty about not liking Oblivion more than I do, because for all of this there are some genuinely great things about this film – the production design is great, the soundtrack is interesting, and Andrea Riseborough blasts everyone else off the screen, as usual. The problem is that I liked this film even more the first time I saw it, when it starred Sam Rockwell and was called Moon. I don’t think I’m overstating things if I describe Oblivion as a gargantuanly-budgeted remake of Moon which has had various action sequences, an alien invasion, and a love story grafted onto it without a great deal of elegance. The premise, atmosphere, and even a couple of specific scenes all seem uncannily familiar. If you haven’t seen Moon, then this probably doesn’t illuminate you much – but at least I haven’t spoiled Duncan Jones’ exceedingly fine film for you. If you have, then you now have a very good idea of the direction in which Oblivion ends up going (sorry). For me the similarities were so numerous and so glaring that they really got in the way of my enjoyment of Kosinski’s film (which, for the record, purports to be an adaptation of an unpublished graphic novel – hmmm). Others may well have a different experience, which is fair enough – there are good things going on here. But I still think that if you don’t like SF, you’re not going to warm to Oblivion simply due to the film’s premise, and if you do, its derivativeness and arguable lack of real substance isn’t going to endear it to you, either. Judging it on its own terms, this is quite possibly a better film than I’m giving it credit for – but to do so seems to me to require wilfully ignoring just what a blatant knock-off it is. I’ve always had a sort of soft spot for the Mission: Impossible movies, partly because I like the TV show but mainly because when the first film came along I was at a bit of a low ebb and generally not feeling very good about myself – Brian de Palma’s movie made me forget all that, really cheered me up, and somehow set the tone for a summer which ultimately turned out to be much better than I could have expected. 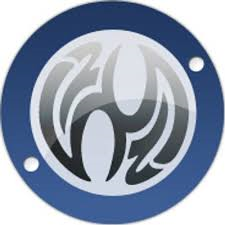 As a result it may be that I am prone to grant subsequent installments an easier ride than I would usually in the case of vacuous studio cash cows possibly coming around the block once too often. Which brings us to Brad Bird’s Mission: Impossible – Ghost Protocol, possibly the most punctuation-intensive title for a sequel since the last Tomb Raider movie. If you think that sounds more like a computer game than a movie, then – hmm, your Jedi powers stand you in good stead. It all kicks off with junior Impossibles Simon Pegg (Mission Specialities: Geekiness and Comic Relief) and Paula Patton (Mission Specialities: Decorativeness and Ticking Diversity Boxes) busting Tom Cruise (Mission Specialities: [deleted on the advice of our lawyers after a close reading of the libel laws]) out of a Russian nick (since the last movie Pegg has passed the exam letting him participate in the main plot). Cruise is in there for a reason, but we needn’t worry too much about that. Cruise and his new team are required to infiltrate the Kremlin (parts of which appear to have been sneakily disguised as Prague Castle – oh, those Russians!) in search of information as to the identity of a nutty boffin intent on starting a nuclear war in the name of progress. (The whole film operates on this kind of level, in case you were wondering.) But the boffin is onto them, blows up the Kremlin (but not Prague Castle, thankfully) and pins it on Tom and the gang. Caught up along with them is honorary Impossible on secondment from HQ Jeremy Renner (Mission Specialities: Worrying and Having A Mysterious Past). 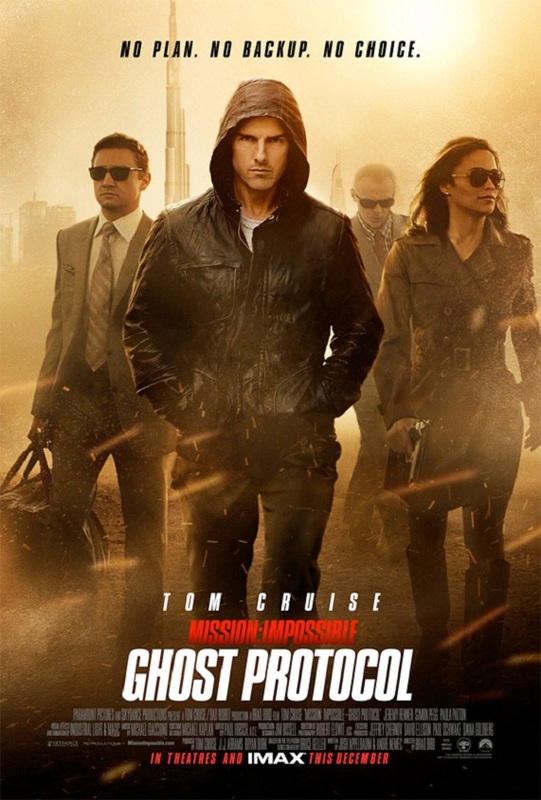 Ghost Protocol proudly introduces itself as A Tom Cruise Production, and if productions take after their producers in the same way that pets take after their owners, it should come as no surprise to anyone that this movie is utterly bonkers. Not necessarily in a bad way, but you should sever all links with reality before taking your seat. The first couple of M:I movies, at least, were moderately implausible action thrillers with a techno bent – but somewhere along the line a border has been sneakily crossed and by any reasonable definition this movie is really very silly SF. Spider-Man-style adhesive gauntlets, magnetic levitation kits, laser saws, and holographic wallpaper – they’re all here. To accommodate all the gadgets the script isn’t really very much more than a succession of massively implausible set-pieces – you may well have seen the one with Cruise hanging off the side of a hotel in Dubai, but there are a number of others of broadly the same character. Alarm bells may be starting to ring, but do not be too hasty – crucially, Pixar alumnus Bird knows how to put together a polished and intricate spectacle, and the movie’s money sequences all hold together with every impression of effortlessness. It all still boils down to the Impossibles hurling themselves down ventilator shafts, dangling out of windows, and pretending to be people they’re not (not so much business with masks this time round, however), but it’s done with the greatest of style and energy. Unfortunately, although this is obviously not the kind of film in which the participants are gunning for acting awards, what it really needs in order to wholly satisfy as a piece of breathless entertainment is a protagonist who can really invest it with some warmth and humanity. And what it has is Tom Cruise. General perceptions of Cruise, whether accurate or not, long ago reached the point where they colour every film he makes – and shall we just say that this doesn’t synergise well with his playing an obsessive, slightly ludicrous figure, as he does here? It’s not even as though he gives much of a performance, anyway – he’s a clenched, impassive lump at the centre of the film (clearly a lump with a good personal trainer, of course), hardly showing any emotion for most of it. As a result, scenes (and a whole subplot) dealing with Cruise’s emotional life and history just seem a bit superfluous – it also feels as if they may be there just to explain how this film connects to Mission: Impossible 3, and I for one wasn’t that bothered about that. Nevertheless, the rest of the team do sterling work in propping Cruise and the movie up. Jeremy Renner is, as usual, rock-solidly reliable in support. Simon Pegg’s increased visibility reflects the rise of his star in recent years – although it seemed to me he was almost doing a bit too much in the way of comic relief in an attempt to personalise the movie. Paula Patton also carries out her duties commendably (I’m not saying this is a film with somewhat unreconstructed attitudes, and will leave you to discover for yourself which of the four leads is the one required to do a scene in their underthings). The last two Mission: Impossibles whipped by enjoyably enough without leaving much of an impression on me. It’s early days with regard to Ghost Protocol, but I enjoyed it at the time – a slick, silly, very professionally assembled piece of blockbuster product, with lots of nice bits (not least the unusual sound of Lalo Schifrin’s immortal theme played on the sitar). I’ve no idea whether this series has anything left in the tank – I suspect that will rather depend on Tom Cruise’s career trajectory – but Brad Bird’s achievements, at least, are rather impressive, and I’ll be interested to see what he does next. Funnily enough, we go from a film about bizarre and unnatural methods of reproduction to Tom Cruise’s latest project. (Yeah, yeah, bring on your lawyers: you ain’t got nothing on me!) This is Mission: Impossible 3, as if you didn’t already know, co-written and directed by JJ Abrams, the creator of Alias and Lost. This is one franchise which isn’t afraid to drag its feet while the Cruiser gets on with other things – it’s ten years since Brian de Palma’s (quite nifty) original, and six since John Woo’s (kinetic but soulless) follow-up. Well anyway, clearly it has been decreed it’s time for a third installment and our presence in the multiplex is clearly expected. Despite what you may be thinking, Abrams does work fairly hard to make this more than just a cynical cash-in on the Mission: Impossible name. 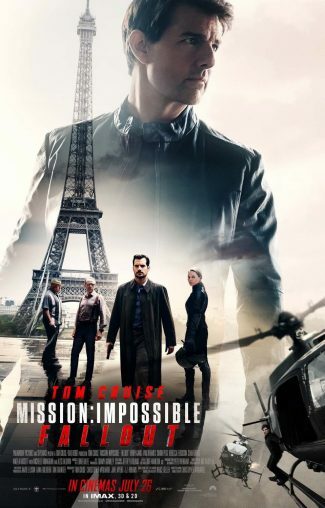 The premise of the show (each week a disparate team of Impossible Missionaries got sent on an unfeasibly complicated, er, mission) is reflected in the structure of the movie – obviously Tom is the Chief Impossible, aided by Deputy Impossible Ving Rhames (yup, back again, still with moustache) and Assistant Impossibles Maggie Q and Jonathan Rhys Meyers. (Our own Simon Pegg pops up in a couple of scenes as a very junior Impossible who isn’t let out of HQ, presumably because his costume isn’t stylish enough.) Anyway the film is written so Tom and the gang have to go Impossibling in a different location every thirty minutes or so – there is a good deal of globe-trotting involved in this but with the exception of a ridiculous caper inside the Vatican all the locations are used strictly as ‘colour’ – apart from the trip to Rome, they could probably have set the whole film within thirty miles of Birmingham without it needing very much in the way of rewriting. Lalo Schifrin’s classic theme gets blasted out fairly regularly too, which is nice, but the classic ‘your mission, if you choose to accept it…’ schtick is very nearly abandoned, which isn’t. The plot is fairly bonkers, but acceptably so, and the film only really gets dull in between bouts of Impossibling. At these points Tom hangs out with Ving Rhames (who used to be an ace hacker but who, to judge from his interest in Tom’s personal life, has since retrained as a relationship counsellor) or gets dragged over the coals by snippy IMF boss Laurence Fishburne, who appears to have been on the pies since finishing the Matrix trilogy. Both of these are fairly grim but much, much worse are the segments where we get to see Tom and his missus hanging out and generally just being in love with each other. Yes, Tom’s teeth go into overdrive, flashing and pulsating away like an Aldis lamp. To be fair, his performance throughout is also quite acceptable but the fact remains that when on screen, no matter what the movie, he frequently looks completely nuts – and when, as in this case, the script does not address that fact, the results are rarely entirely satisfying. Hoffman, who’s a much more versatile performer, gets considerably less screentime and his part is so thinly written even an actor of his abilities struggles to really make an impression. In the end, though, this is a fairly sterile and mechanical piece of entertainment. The individual bits of Impossibling are entertaining and amusing and there are some effective bits of action along the way – but the climax is rather low-key, and the film’s attempts to be politically relevant come across as strained and spurious. It doesn’t play with the audience’s expectations in the way the first film did, and doesn’t have much in the way of novelty value either. As a popcorn movie, it works, and I expect it will do very well at the box office. But the prospect of a six year wait before the next instalment doesn’t bother me in the slightest.